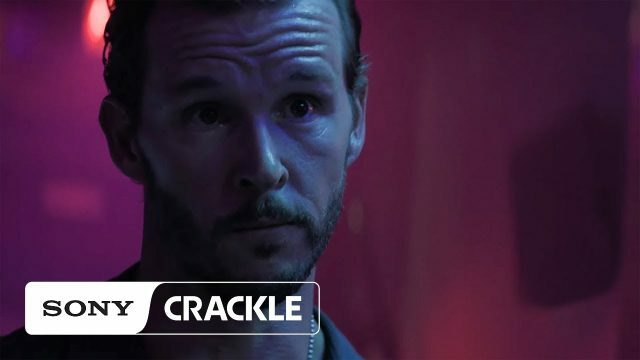 Crackle has released the official trailer for the upcoming second season of the action crime drama The Oath, highlighting the incoming conflicts that the Ravens must face together. Starring Ryan Kwanten, Katrina Law, Cory Hardict and Christina Milian, the series is set to make its return on February 21. Check out the below! The Oath is Crackle’s most-watched new original series and currently has the highest retention rate, episode to episode, of any Sony Crackle original. Exploring a world of gangs made up of those sworn to protect and defend, the series sheds light on corrupt and secret societies that are nearly impossible to join — only a select few make the cut — but once inside, members will do what they must to protect each other from enemies on the outside and from within their own ranks. The series was created by Joe Halpin (Hawaii Five-0, Secrets and Lies) and is executive produced by Curtis “50 Cent” Jackson. Season one of The Oath starred Game of Thrones alum Sean Bean, Ryan Kwanten (True Blood) who also serves as producer, Cory Hardrict (American Sniper), Katrina Law (Training Day), Arlen Escarpeta (The Magicians), and J.J. Soria (Animal Kingdom). Rounding out the ensemble cast are: Elisabeth Röhm (Law & Order), Michael Malarkey (The Vampire Diaries), Eve Mauro (CSI: Miami), Kwame Patterson (The Wire), and Linda Purl (Homeland). Created by Halpin, a Los Angeles County Sheriff’s Department deputy in South Central for 17 years, 12 of which as an undercover officer, The Oath takes an unforgiving look at the complicated dynamics in these organizations and documents the lives of those willing to risk it all to have it all. The Oath is executive produced by Jackson and his G-Unit Film & Television, Inc., Dennis Kim, Todd Hoffman, Anne Clements, and Halpin who also serves as writer and showrunner.